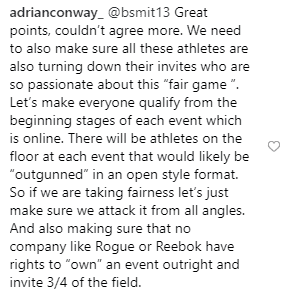 “To all these “Sanctional” event coordinators that are qualifying athletes for the CF Games: This seems like common sense? … Don’t have people programming the events for the competition. ALSO be the coaches of athletes competing in these events. What am I missing? I’m all for this format/changes and think it should work just fine, possibly even better than the last format. But these comps have a responsibility to be un-biased. I love that the events are varied in structure And programming but I see this programming bias potential as an issue that needs to be resolved and should just be common sense. Thoughts? Am I missing something? 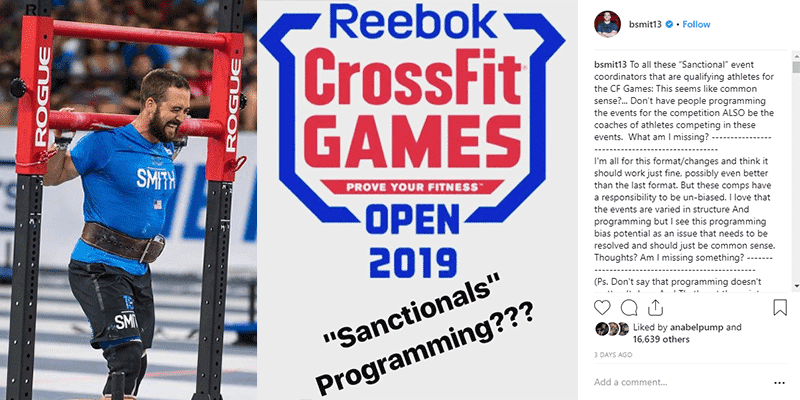 Here are the responses from other CrossFit Games and Regionals athletes. 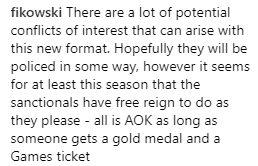 What do you think about the Sanctionals format? What do you think about Ben’s thoughts? Let us know in the comments section below.